I'm a loud-and-proud fan of all things cheap and not paying a cent more than I have to, which comes in particularly handy, considering my penchant for dining out. So when Groupon promised me a '3-Course African Feast for 2' for just $45.00, who was I to say no? Still a relative newbie, having only opened its doors towards the end of 2014, Mamma Africa serves a range of traditional Somali-influenced dishes with the matching décor to boot. 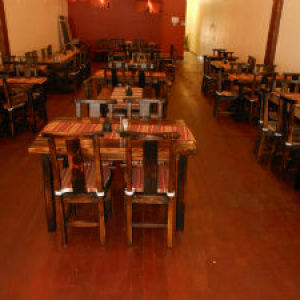 The restaurant is spacious and generously spread out with its heavy wooden furniture. Can't say I'd had Bajiya before this, but it definitely won't be the last time! 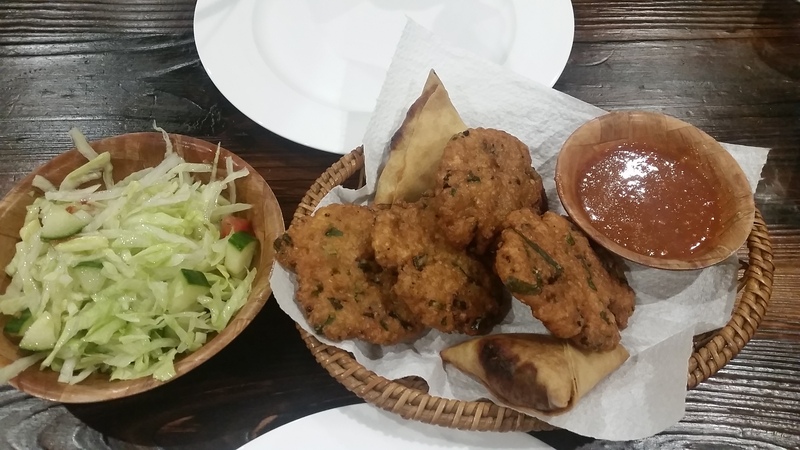 Our entrée began with a serving of two Beef Samosas and four Vegetarian Bajiya, the latter being deep-fried cakes of black eyed peas, onions, and spices – both dishes being common Somali street food. The surprising highlight of this course was the spicy sauce which was simply to die for, and I unashamedly used every last morsel of solid to soak it all up. 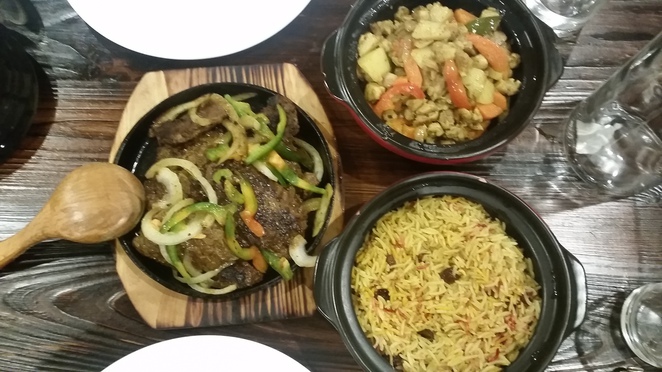 Our deal included two main courses so we opted for Hilib Biskeeti (Beef Steak) and Suqaar Digaag (Diced Chicken). Suqaar Digaag is a huge favourite of mine, and this dish was no exception. The word "Suqaar" comes from the Arabic word (صغار) which means "small ones", and is referring to the technique used on the meat in the dish, which is diced into little cubes. Come for my foodie article, stay for a complimentary language lesson. Both dishes had a pleasant amount of heat without overpowering the other flavours. Accompanied by a (not-so) small serve of Somali Basmati Rice, which is characterised by the inclusion of raisins and a rich flavourful taste from the broth. Also noteworthy was the variety of colour within the rice - singular grains struck through in brilliant tones of red, orange and yellow. This clever garnish is achieved by dropping a swirl of food colour (traditionally done with saffron or masala, but this technique would be quite expensive) over the cooked rice and leaving it for a while to absorb to soak into the individual grains, before mixing it together without the colours bleeding. The Halwa Ice Cream was an event in itself. 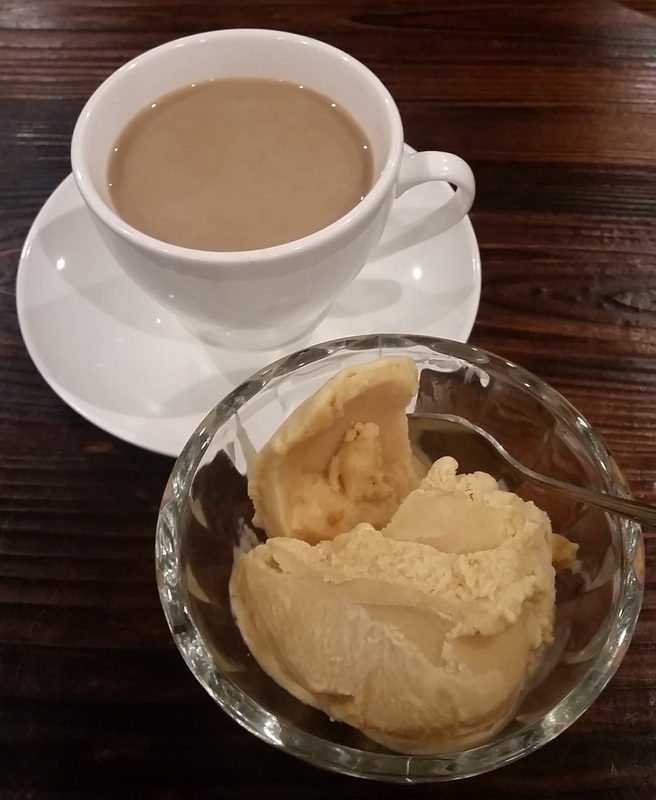 Halwa ice cream is made, as the name suggests, from halwa. For those who don't know, the Somali version of halwa (Xalwa) is a flour-based glutinous dessert similar to that of Turkish Delight, as opposed to tahini-based versions of halwa popular around the eastern Mediterranean and Balkan regions. As it is quite laborious to make, it is often left to artisan crafters and served at weddings or other special occasions. Naturally, when made into ice cream, it is absolutely heaven. The most prominent flavours were the cardamom and nutmeg rounded off with a smooth, buttery taste from the ghee used in the halwa itself. Luckily my husband ate his as quickly as I did or I would have gone for his, too. The spices used in the milky Chai Tea complemented the dessert perfectly, with the matching flavour profiles giving the effect of a hot-or-cold version of one another. Despite taking our time, we still struggled to consume everything in the one sitting but the accommodating staff were more than happy to pack the leftover mains into containers to takeaway. It was a very lovely experience and I look forward to my next visit. P.S. : I understand that this deal is still available for purchase for another few weeks via the Groupon website, or this link.